Let Garden Oasis transform your lawn with our selection of Lawn Seed options. You can correct patchy problem areas, eliminate those unwanted weeds or just give your lawn a well-needed boost and don’t forget, all of our products are available for free home delivery. 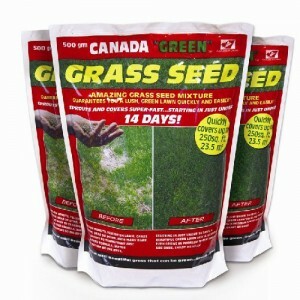 Transform your lawn in just 14 days with this amazing grass seed mixture from Canada Green. Simply..